The LOVE Bed is a beautiful and elegant bed frame that will add to the ambiance of any bedroom décor. This luxurious bed includes a beautifully crafted high headboard and Low foot end design. With its sturdy, sleek design this bed is sure to create a graceful look to your room as well as provide an excellent night of sleep. The LOVE is a timeless shaker styled bed with refined detailing finished in a durable Stone White Lacquer. Featuring a sprung slatted base for extra comfort and additional mattress life with sturdy easy to assemble fittings. This charming bed is sure to provide a serene and inviting focal point to your room. With its sturdy craftsmanship, it also provides durability and ensures maximum comfort. This item is simple yet versatile enough to be used for any modern styled bedroom theme. An excellent bed to add a special touch. Also available in the range. LOVE 4ft 6 Double Bed Frame in Solid Oak Finish. 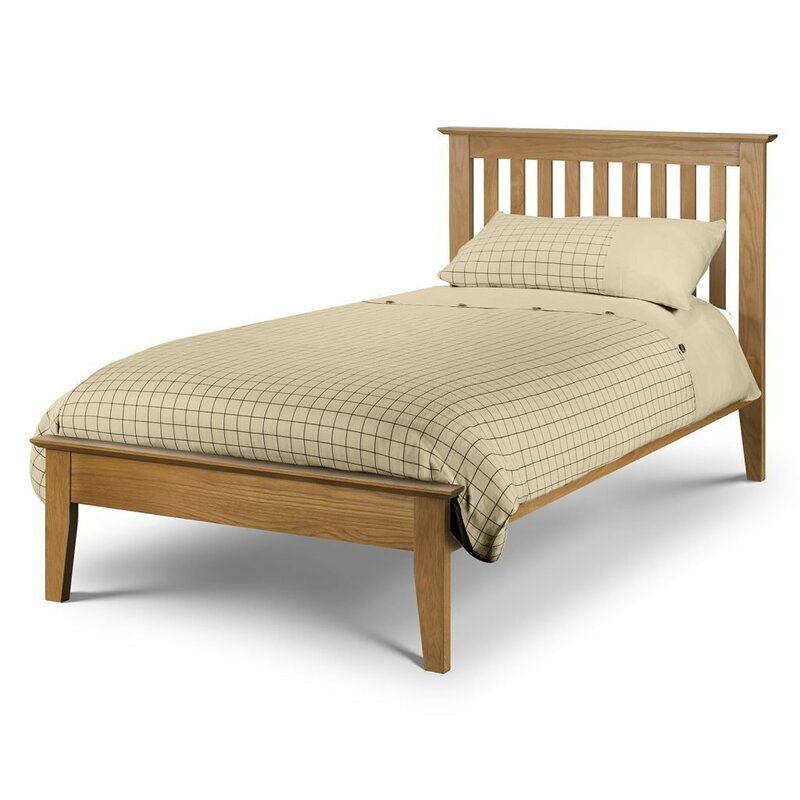 LOVE Ivory & Oak Finish 4ft 6 Double Bed.